Since I got back from Germany I’ve mostly been hibernating in our apartment and eating chocolate while watching Grey’s Anatomy. This post has just been sitting there as a draft for a while , so I thought it might be time to post it while I dream of sunnier days when I went out for ice cream a lot 🙂 Also, I’m still trying to convince some people to visit here, maybe these pictures will help? 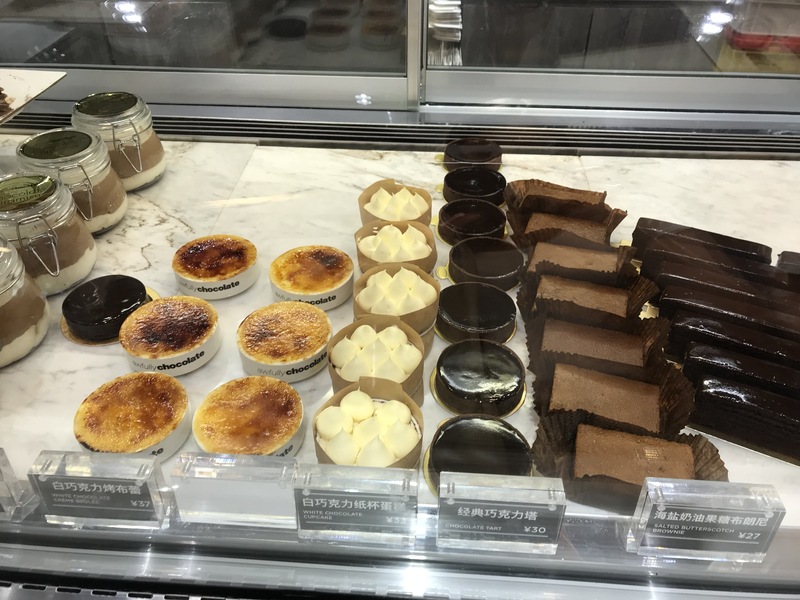 Disclaimer: Of course you can get dessert at most restaurants but this post is dedicated to the little stalls and places that just sell delicious dessert. 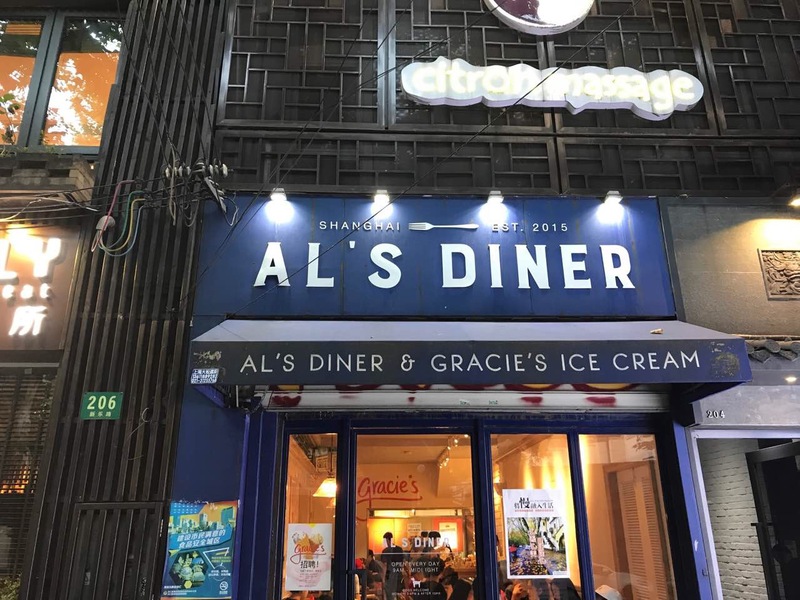 I went here with Verion before his farewell dinner, because obviously it’s always a great idea to get dessert before dinner. 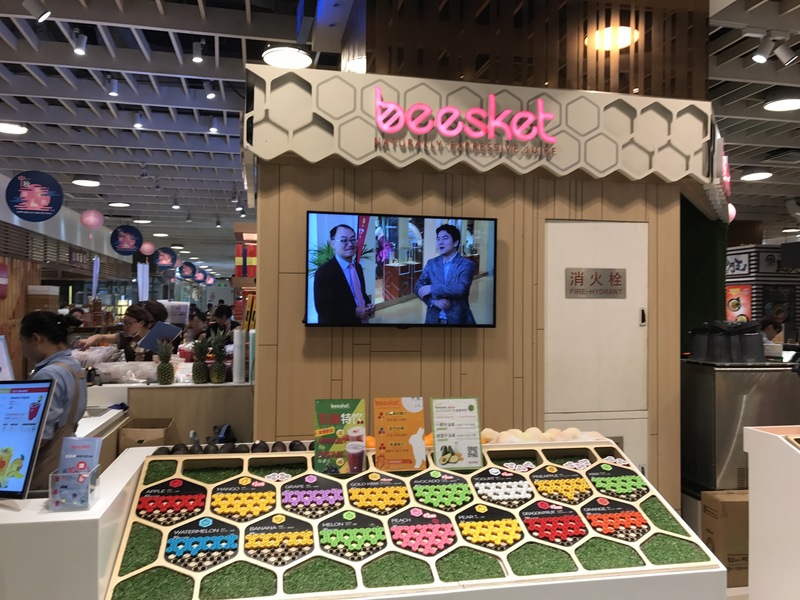 The stand sells waffles which are shaped like fish and have different fillings in them. 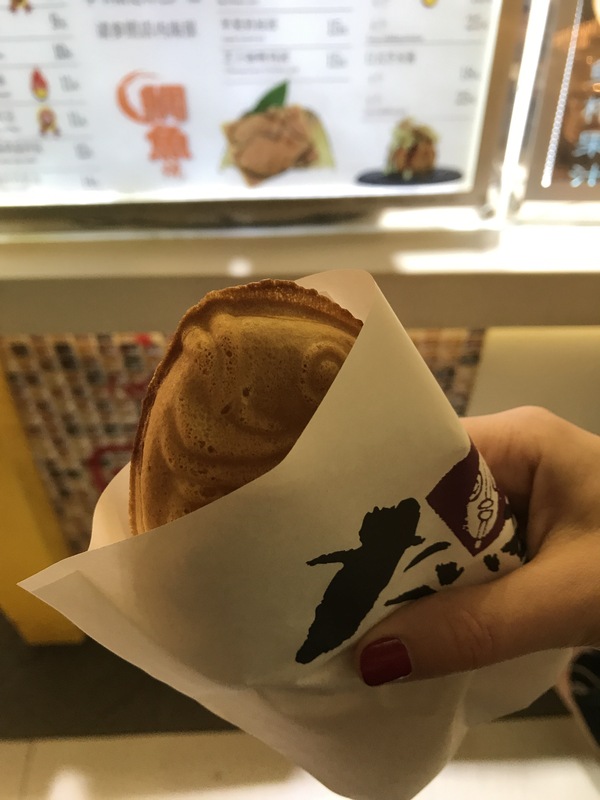 I learned they are from Japan and are called Taiyaki. I got banana custard and it was really good. 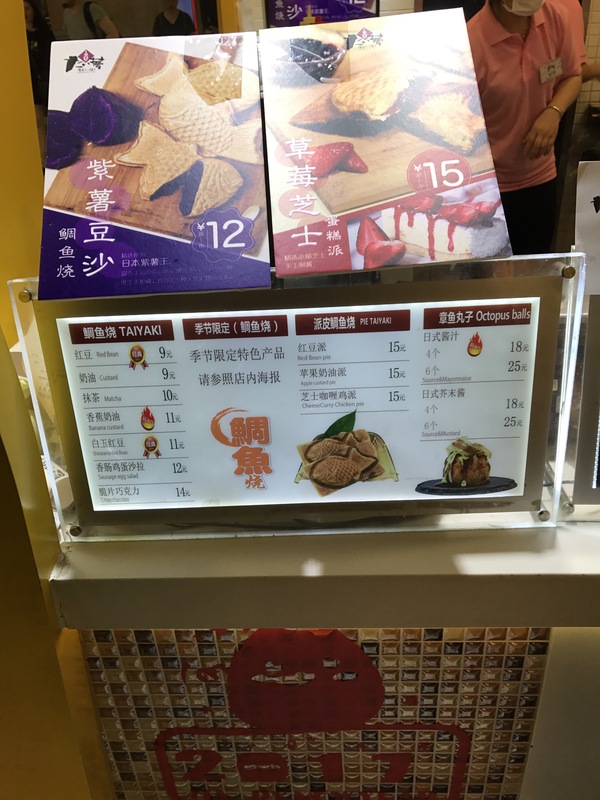 Unfortunately I don’t know what the booth was called but it’s inside the Shanghai Metro City mall. 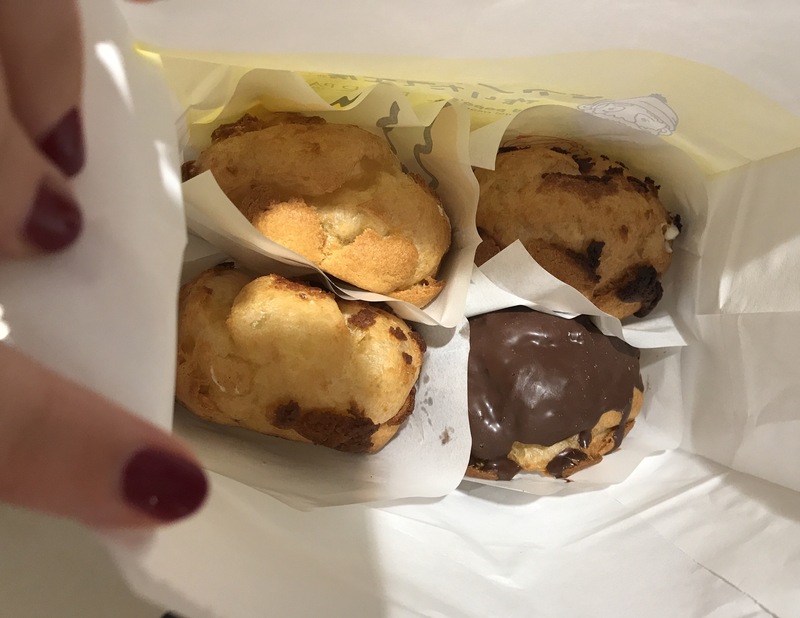 Pearl showed us this place which sells yummy cream puffs. 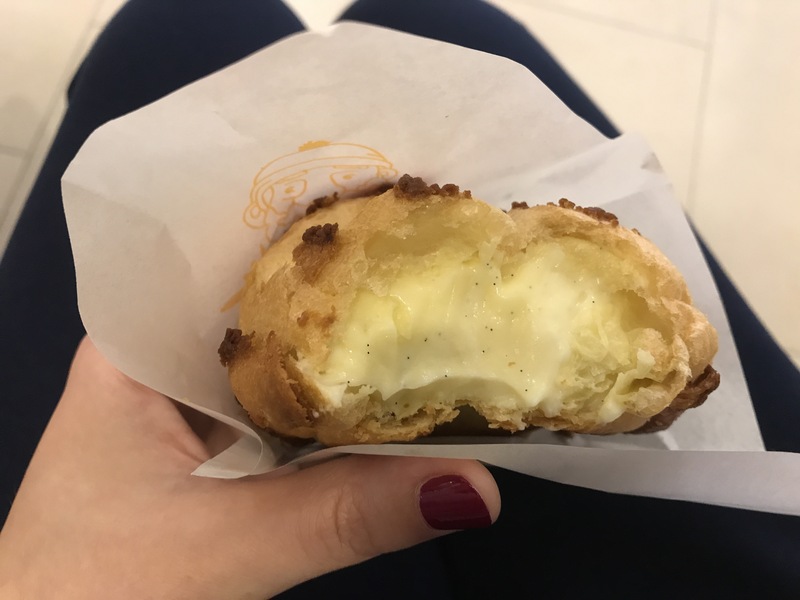 I got a cookie puff filled with custard and it was delicious – not too sweet and with a very rich, vanilla cream. 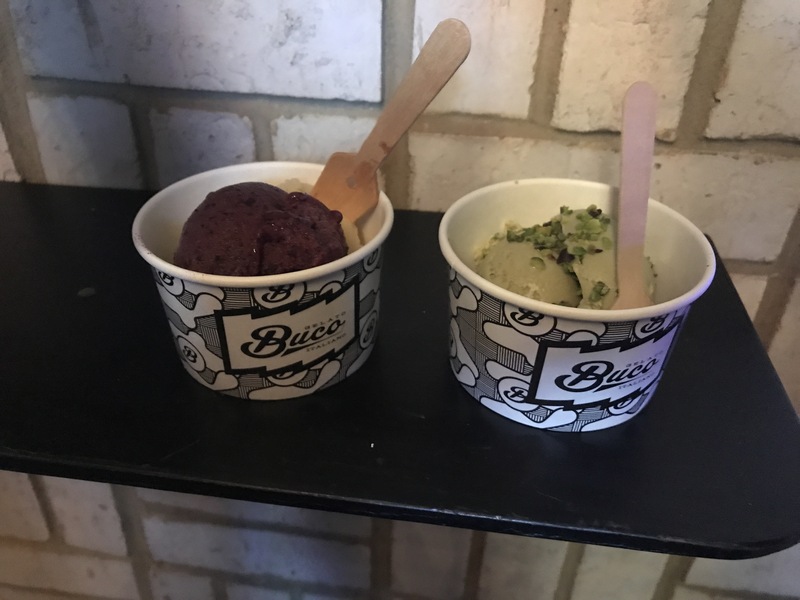 The ice cream is pretty expensive (6.50 € for 2 scoops or 11.50 € for a pint to take home), but it is so so good. 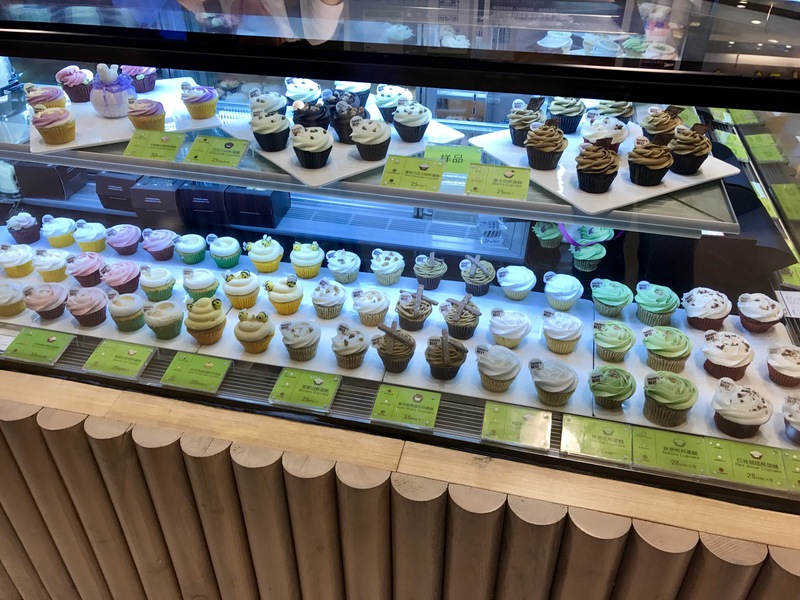 They have some interesting flavors like Balsamic Strawberry & Buttermilk, Black Sesame & Honey or London Fog (Earl Grey). 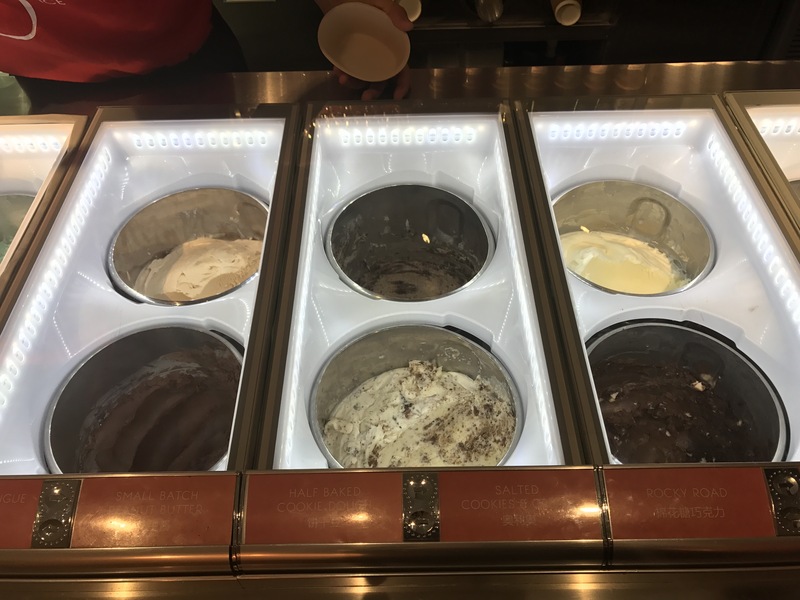 My favorites are Half Baked Cookie Dough and Malt, Sea Salt & Dark Chocolate, though Mango Coconut and Passion Fruit are also delicious. We also got a reward card so I can justify going more. And the best thing is that you can also get the pints delivered from Sherpa’s. Guess what’s in our freezer :). 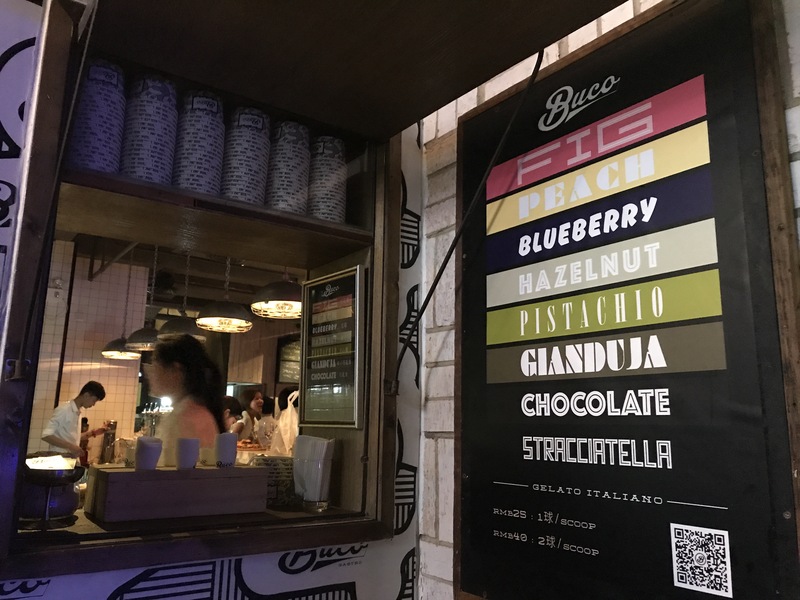 Buco is a tiny, hole-in-the-wall ice cream place, right next to Gemma’s, an Italian restaurant. 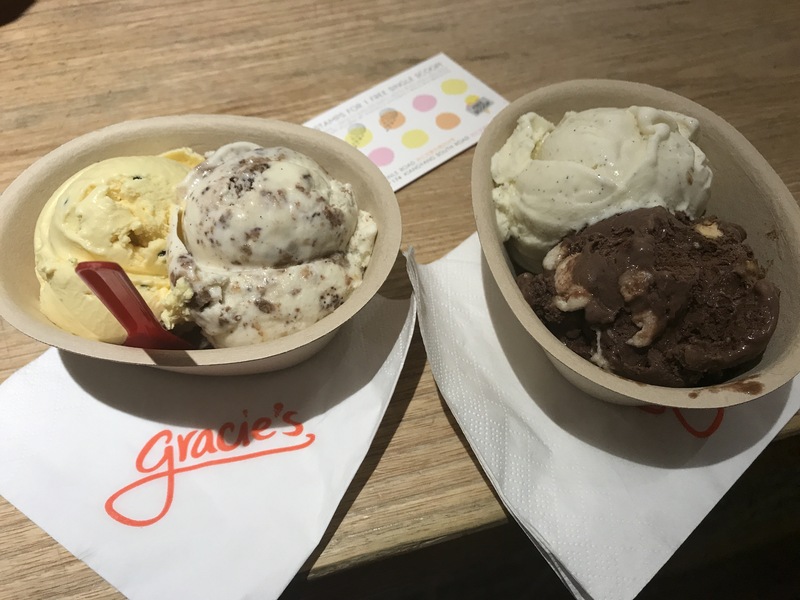 It got recommended to us a few times, usually when I raved about how great Gracie’s is. When we finally tried it I was a bit disappointed. My pistachio ice cream was really good and creamy but Thorben’s fig and blueberry were pretty watery. So I will keep telling everyone that Gracie’s is the best. This is a juice place so more of a dessert after dessert kind of place (unless your name is Thorben and you count fruit as dessert). I still wanted to include it because I think it’s cool. 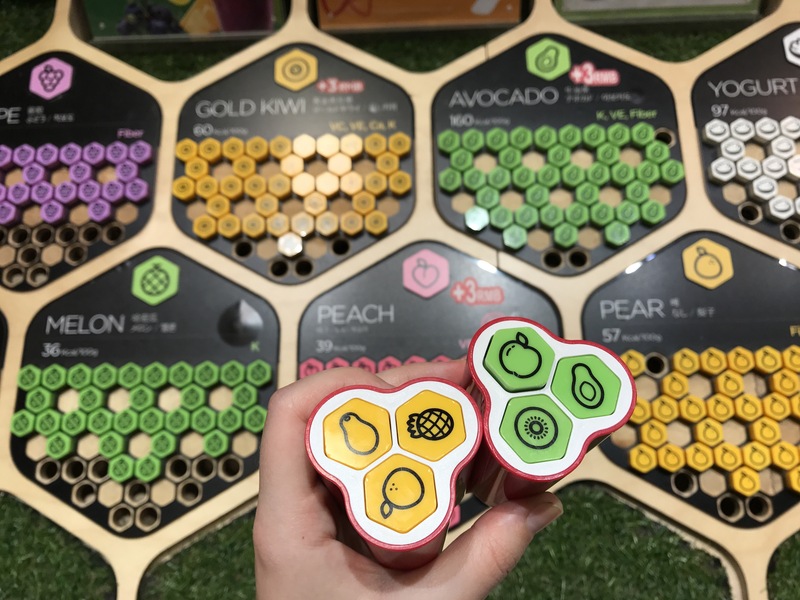 You take a little container and can choose 3 fruits, stick them in there and then you can watch them make the juice according to your specifications. 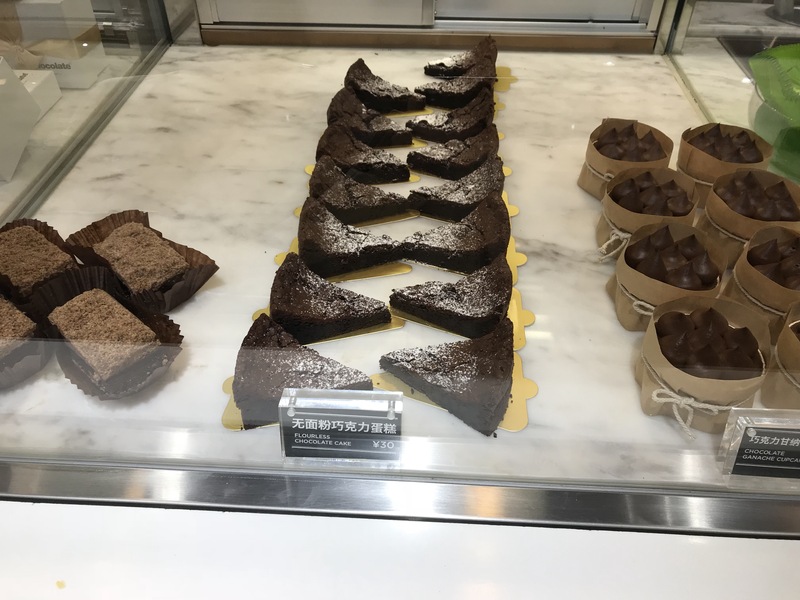 This dessert chain is devoted to chocolate 100%. 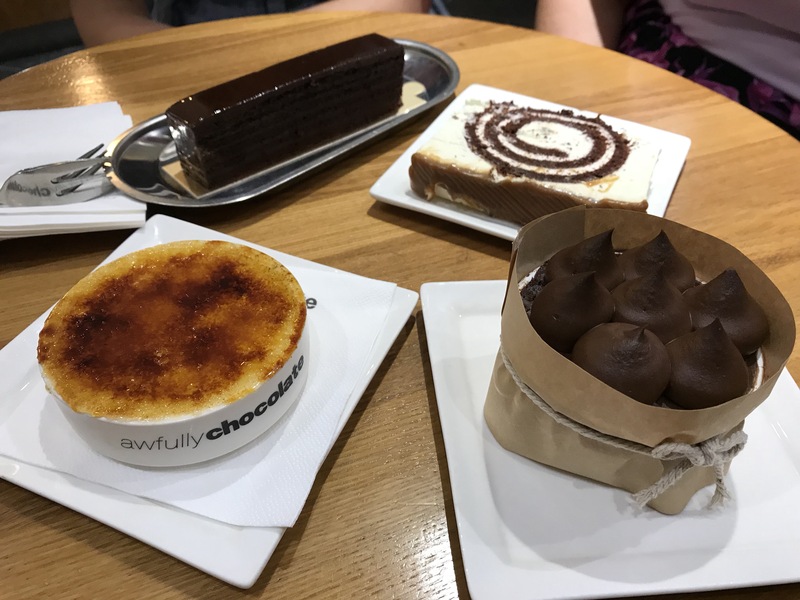 Cakes, pies, cupcakes, brownies, truffles, white chocolate creme brûlée … Everything was yummy and super rich and just awfully chocolatey 😉 I couldn’t eat all the ganache on my cupcake and had to admit defeat. 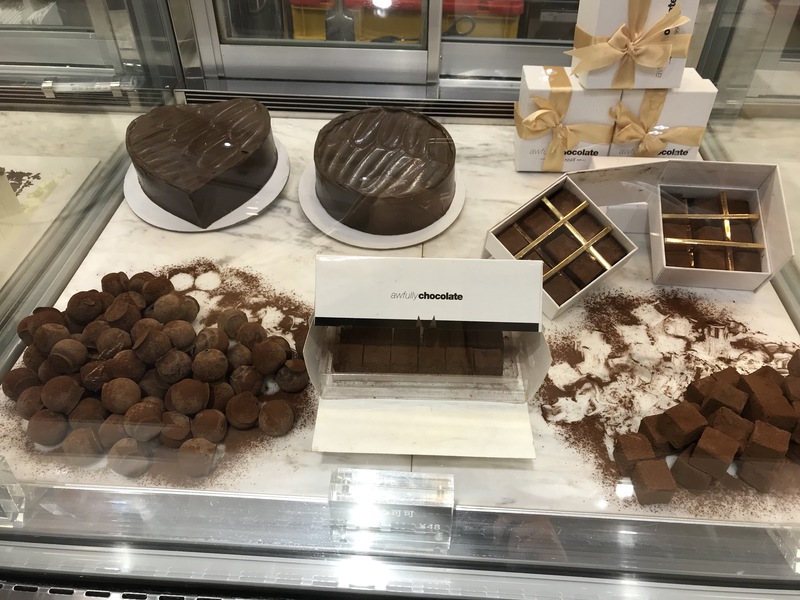 If you are really in the mood for lots of chocolate this is definitely a good place! 2017, it’s been a crazy year. In February we started our preparation with an intercultural seminar followed by a 2 week intensive language class, which made my brain hurt and showed me how difficult learning Chinese is. While Thorben got over this traumatic experience and started studying again towards the end of the year I still haven’t recovered quite yet 😉 I also got my job offer and started the visa process. My host sister got married in California and I was happy to be part of the wedding as a bridesmaid. We also used the time to visit San Diego, Joshua Tree National Park and spent time with my American family in Ventura. Thorben turned 30 in April and we took the chance to celebrate both his birthday and a farewell party. We also packed all our stuff into 25 boxes, handed over the key to our apartment and I dropped him off at the airport at the end of the month. 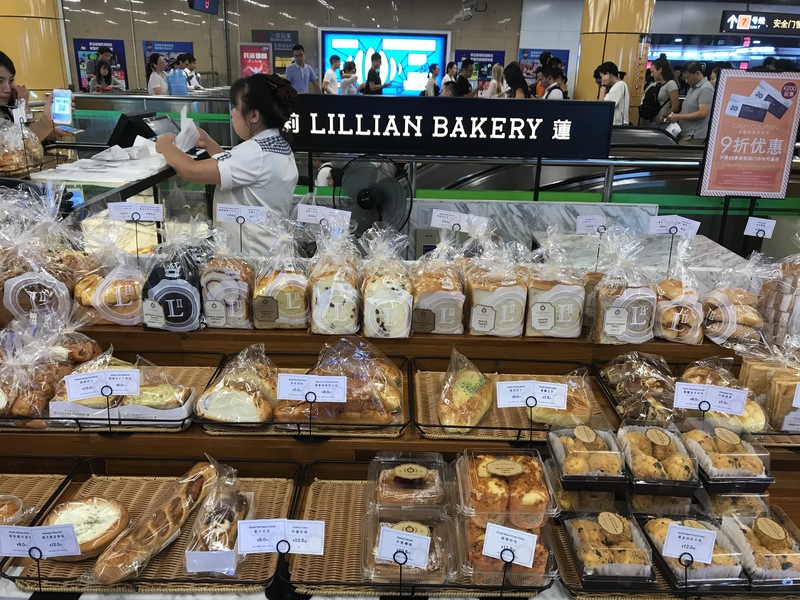 While Thorben was busy starting this blog, a new job, exploring China and finding us an apartment, I spent the month saying good bye to family and friends. I also took a trip to Budapest and celebrated my birthday winning at mini golf before hopping on a plane to Shanghai. During my first week in Shanghai I met Pearl and we visited Zhujiajiao together. We also received our air freight, which helped us settle into our new apartment. Thorben went to Japan with his coworkers while I discovered the avocado lady and spent a day exploring the city with Shane. In July it was a bit rainy at times so we had fun playing board games and making travel plans. I also visited some touristy places as a friend from university was in town. Thorben went on his first business trip to Germany and we saw “Sleep no More” which he loved and I hated. We also faced some crazy temperatures – above 40! – but that didn’t keep us from trying lots of different restaurants and seeing the Lion King in Chinese. During the summer we went to quite a few brunches and also cooked for the first time, not at our home but someone else at a home-style cooking class. In August we also met Ellie (at a brunch) and had some adventures with her and Pearl at a murder mystery dinner and trying to eat lung. At the end of the month Thorben and I took our first trip out of the country together and spent a long weekend in Seoul. 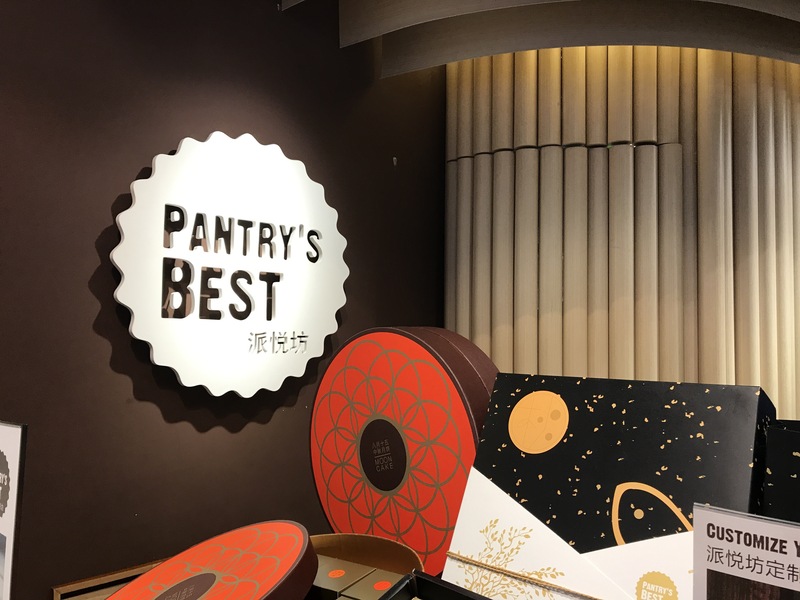 September was a mix between food and culture: I tried hot pot for the first time, we went to see the musical Sister Act. I hoarded cheese after hearing of a coming ban while Thorben took some pretty pictures at night. During our trip to Beijing we visited famous sights such as the Forbidden City and the Great Wall and had some delicious Peking duck. 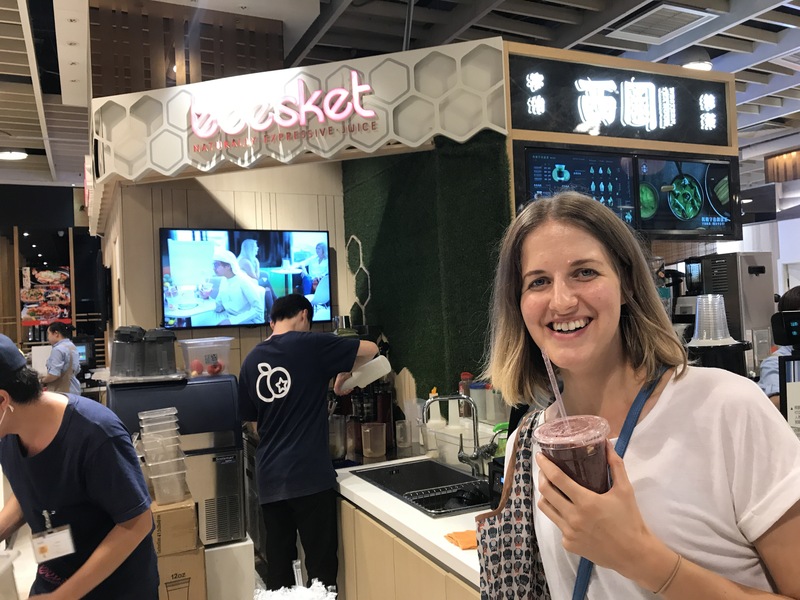 The month started out with a week long break – Golden Week – which we used to travel to Hong Kong and visit Jana in Taipei. I also had an epic scone bake-off with Ellie. Most of our weekends we spent at brunch, shopping for tailored clothes and getting Christmas presents at the Pearl Market. Thorben tried some hairy crabs while they were in season and I indulged in yummy breakfast street food. I also got some more Christmas shopping done during Single’s Day. After months of eating out and Sherpa deliveries I finally cooked for the first time. We got to check off a big item on the travel bucket list and explored the magnificent temples of Angkor. After 4 beautiful days in Cambodia we also visited Singapore. In December we had to say our final good bye to Ellie at the airport. The rest of the month was much more festive: We ate Raclette, baked some Christmas cookies and went to a Christmas market. After a crazy half a year we got on a plane to Germany to celebrate Christmas with our families and catch up with friends. Thanks to everyone who made 2017 so fun. Let’s see what 2018 has to offer! 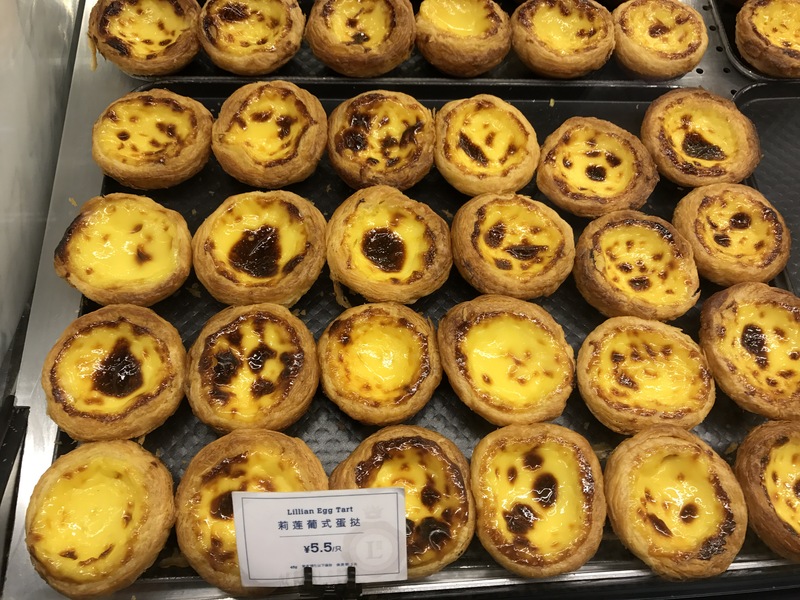 After the delicious foodie tour in Hong Kong, I looked up what UnTour Food Tours offers in Shanghai. One, because it was fun and delicious and two, because the flyer I got in Hong Kong included a 10% off voucher 🙂 The one that spoke to me was the Shanghai Street Eats Breakfast so that’s what Ellie and I did on Sunday morning. Unfortunately the 9am tour was already fully booked, so I dragged myself out of bed for the 8am one. Spoiler: It was worth it. We started at Xiangyang Park where we got a good glimpse of typical morning park activities: Water calligraphy, group sword swinging, Tai Chi and dancing. Our first stop was a street corner with a few different stalls. 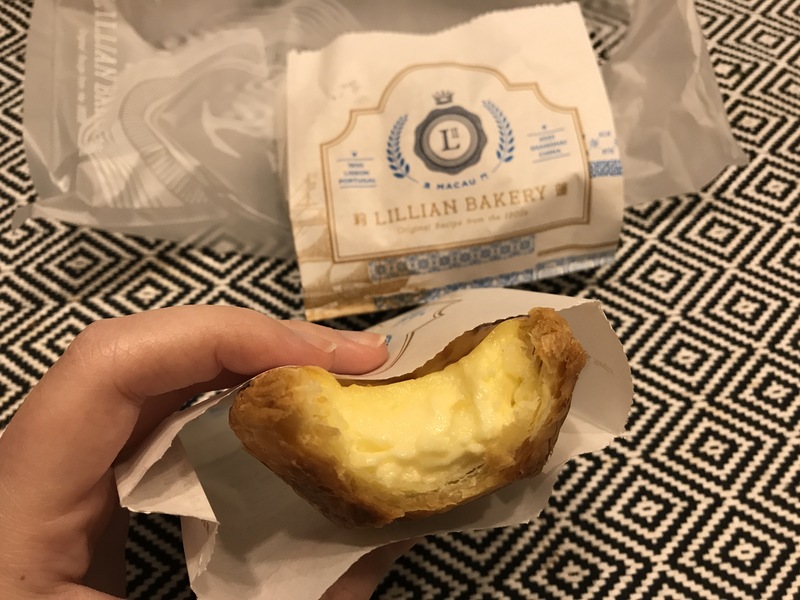 We tried jianbing (Shanghai pancake), fried dough sticks (kind of like unsweetened churros) dipped in fresh soy milk, savory and sweet baozi (buns), fried dumplings and potstickers with pork filling. My favorite was the jianbing and watching the lady whip them up in record time. Luckily, our apartment is only a couple blocks away so I’ll be back to this magical place soon. Next, we stopped at a little cafe for some drinks and then wandered through some alleyways. Our destination was a shop which served hand-pulled noodles in scallion oil and soy sauce – yum! Watching the guy pulling the noodles was an attraction by himself. He was so fast I’m half convinced he just had the thin noodles up his sleeve before he started. Our guide Christina risked her life for us by cutting up the noodles with scissors to divide them (bad luck, because long noodles = long life!) 🙂 We also had bamboo tofu with green peppers which was good and spicy. After a little trip through the wet market, we went to a dumpling shop and had delicious xiaolongbao (soup dumplings) and wonton soup. 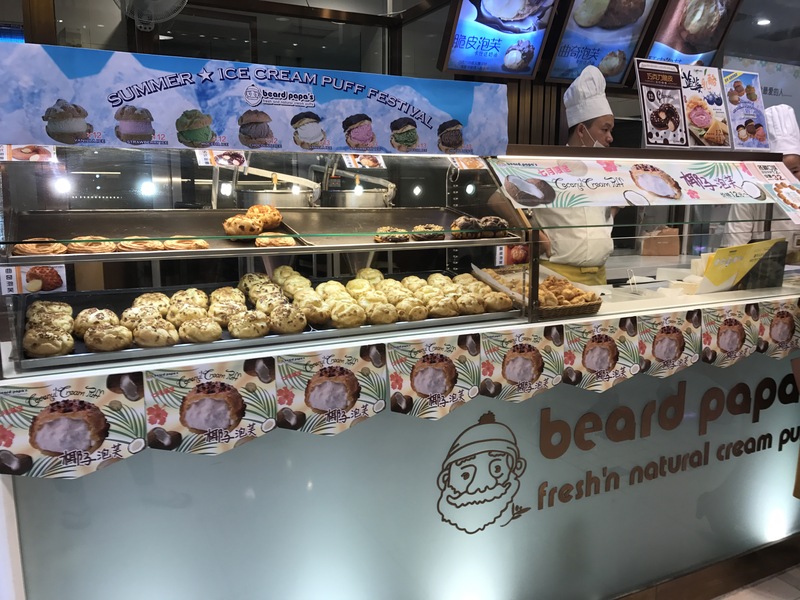 After that I was convinced I could not eat anything more but there’s always room for dessert 🙂 We got bubble waffles which were crispy on the outside and soft on the inside, so just perfect. Overall it was a fantastic tour with a great guide. Christina, a Canadian/Cantonese who has been living in China for 8 years, was really nice, told us lots of interesting stories and pointed out buildings I have walked by lots of times without noticing. Of course I may have also liked her because she fed us a lot and wore an awesome shirt.